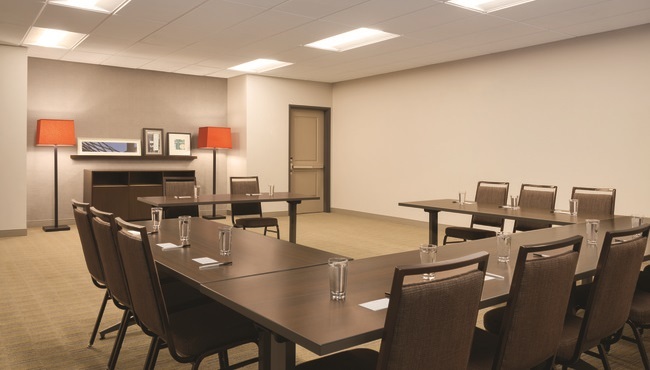 Located near Highway 10, East Hills Business Park and Lawrence VenturePark, the Country Inn & Suites, Lawrence, KS provides an ideal place to hold training sessions, business meetings or small social events. The 775-square-foot event space can accommodate up to 70 people theater style and 30 people at round tables of 10. Rent a projector and screen, and then use the free Wi-Fi to stream your presentation. The room also includes a designated area for snacks and drinks.